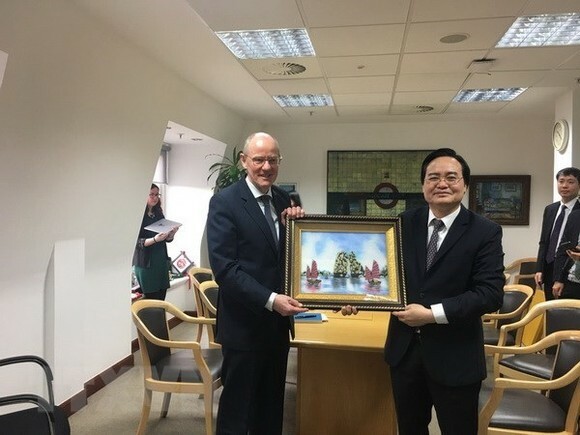 Vietnamese Minister of Education and Training Phung Xuan Nha and Minister of State at the UK Department for Education Nick Gibb discussed the two countries’ educational cooperation during their recent talks in London. 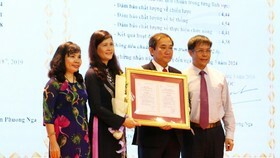 The talks were part of the Vietnamese delegation’s visit to the UK from January 20 to 26. At this event, the two sides looked into cooperation in tertiary education, including training educational managers and lecturers, using hi-tech solutions in higher education governance and boosting joint training between their tertiary establishments. 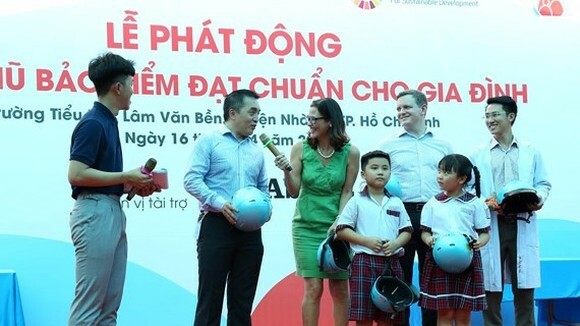 Gibb said he was impressed by Vietnam’s results in the Programme for International Student Assessment (PISA), and the British side wants to learn from the country’s experience in this field. For his part, Minister Nha said Vietnam highly values British education and hopes the UK will help it improve not only higher education but also primary and secondary education. It also wants to learn the UK’s experience in developing STEM (science, technology, engineering and mathematics) and English training programmes. During the visit, Nha also met with Chief Executive of the British Council Ciaran Devane. They discussed tertiary cooperation, focusing on policy dialogue, university governance and autonomy, quality of joint training, university-business connection, innovation research, lecturer and student exchange and social entrepreneurship. 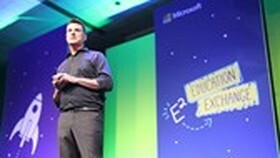 They also mentioned the teaching of English, assessments of English training quality and future activities of the British Council. 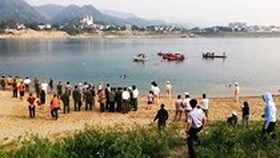 The Vietnamese officials also had working sessions with local auditing and accounting officials, visited the Department for International Trade, and attended a meeting between Parliamentary Under Secretary of State at the Department for Education Nadhim Zahawi and education ministers of four ASEAN countries, namely Cambodia, Myanmar, Malaysia and Thailand.